For four years, Acadia Pregnancy Support has been operating in the students union building of Acadia University in Wolfville, N.S. But how it advertises itself and the medical information it provides is under scrutiny. Kendall Jones had noticed the posters advertising free pregnancy tests around Acadia University, a school of about 3,500 students in the picturesque town of Wolfville, N.S. So when, as a first-year student in 2015, she worried she was pregnant, she headed to the students union building on campus and into the office of Acadia Pregnancy Support (APS). Jones says she only wanted a pregnancy test. Instead, she was asked to fill out a questionnaire and do a consultation. Finally, a representative asked what she would do if the test came back positive. "I said, 'Well, I'm only in first year, and I feel like I would consider an abortion,'" Jones says she told them. She was taken aback when the representative then pulled out a pamphlet containing what Jones says appeared to be medical information that outlined abortion risks — including a claim that terminating a fetus increases the risk of breast cancer. She was told God would judge her if she went through with an abortion. 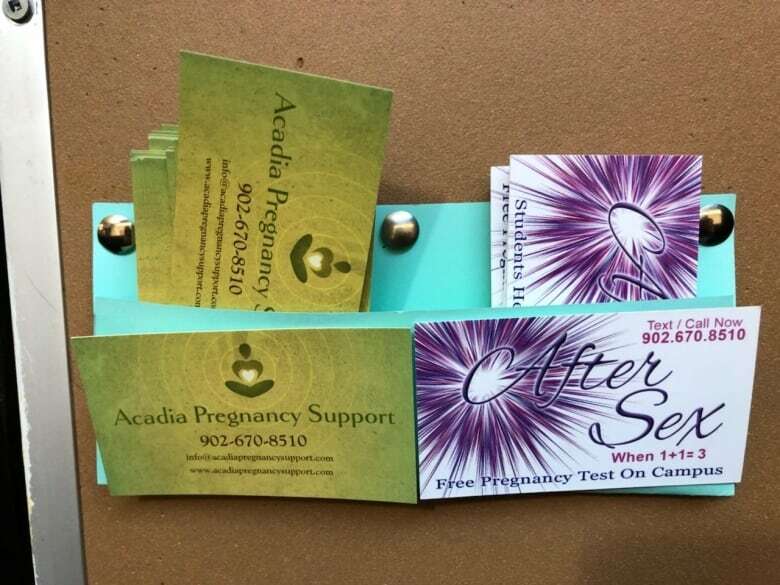 The Acadia Pregnancy Support office has been operating in the Acadia Students' Union (ASU) building for about four years. But how it advertises itself to women dealing with unplanned pregnancies is coming under scrutiny, and there are concerns about the medical information provided by the office and its parent Christian charity. Jones's pregnancy test came back negative, but she says she left Acadia Pregnancy Support feeling disturbed and manipulated. "Even though them having this sort of agenda isn't necessarily the problem, their prevalence on campus and how they market themselves is misleading," she says. "I think everyone has the right to know exactly what they're going into, especially in such a sensitive situation like that where you're likely already feeling kinda scared and jangled. Transparency is totally key." Dr. Robyn MacQuarrie, a gynecologist in Bridgewater, N.S., says she's concerned that information on the website of the group that runs Acadia Pregnancy Support — Valley Care Pregnancy Centre of Kentville, N.S. — is medically inaccurate and designed to sway women away from considering abortion. "Ethically, what is problematic is the presentation of, 'We are an open, caring, supportive to all environment,' and then they present skewed data," she says. The abortion section of Valley Care's website makes claims such as: "Carrying a first pregnancy to term at a young age (like before the age of 20) gives a measure of protection against breast cancer. Terminating such a pregnancy results in loss of that protection unless you have another full-term pregnancy at an early age." It does note the Canadian Cancer Society says there's significant evidence showing no link between abortion and a higher risk of breast cancer, but Valley Care also says other studies argue there's "strong worldwide scientific evidence to support a link." MacQuarrie says having an abortion does not increase a woman's risk of breast cancer, but limits the benefits conferred by having a pregnancy. She also says protection that pregnancy at an early age provides against breast cancer is small compared to other lifestyle factors — such as whether a woman drinks alcohol regularly, or leads a sedentary lifestyle and carries extra weight. "All of those things actually increase your risk of breast cancer, and to me it's shocking to then put on a website, 'Well, actually, having an abortion increases your risk of breast cancer,'" MacQuarrie says. She says Valley Care is misleading because it places greater emphasis on studies referenced by anti-abortion groups than on evidence from "research-heavy organizations" like the National Institutes of Health. CBC News reached out to Valley Care for an interview. Executive director Bill Davenport initially agreed to one, and then declined without explanation. He asked that CBC News instead "direct any complaints directly to us so we can learn from them in person and evaluate their concerns in light of our records of their visit with us so that we can learn how we can improve as we review the facts of their case." George Philp, the president of the students' union, declined an interview, but says the union is "investigating the matter." In a July opinion piece in the Halifax Chronicle Herald, Davenport said Valley Care Pregnancy Centre "fills a critical void in our community services in ensuring women have access to timely, accurate pregnancy information and the support they need to make the decision they want." He said Valley Care supports women facing an unwanted abortion — and that friends, family and medical professionals pressure women into choosing to abort a fetus. On its website, Valley Care also suggests a bias in the medical community towards favouring abortion: "As late as the 1990s, the tobacco industry was still declaring that there was no scientific link between tobacco use and cigarette smoke and cancer." MacQuarrie says she's disturbed by the characterization, calling it "pure rhetoric." "We're not an industry. We do not have a vested interest in performing abortions. We don't prey on women who otherwise would like to carry on a pregnancy and try to convince them to abort their fetus." Valley Care is listed as a member of the Canadian Council of Christian Charities. The group posted its 2017 annual report on the council's website and lists Acadia Pregnancy Support, also known as APS, as a satellite service of Valley Care. 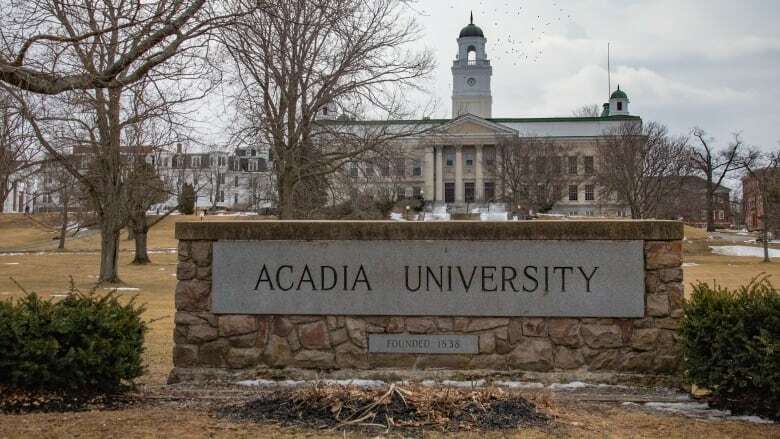 The report says nine students contacted Acadia Pregnancy Support in 2017 and it gave out seven pregnancy tests. Valley Care reported 115 new adult clients in 2017. The report also says Valley Care has been operating since 1994. According to University Wire Service, Acadia Pregnancy Support was initially allowed by the Acadia Students' Union to set up in the campus building in early 2014. Jenna Purkis, who co-ordinates a mental-health initiative run by the students' union, says she has raised concerns with the union about Acadia Pregnancy Support on multiple occasions, but little has been done to try to change how the group operates. Purkis, a fourth-year student, says she has heard from other students at Acadia who have had similar experiences with the organization, right up until this current school year. "I think that there's a perception of APS as a neutral Acadia-run service or an ASU-run service, and the posters advertise non-judgmental support to students facing pregnancy," says Purkis. "Students don't have a reason to question that outright. None of that, I would say, is accurate. But students are overwhelmingly not aware of it being a satellite of the Valley Care Pregnancy Centre, or of its Christian and pro-life ideology." 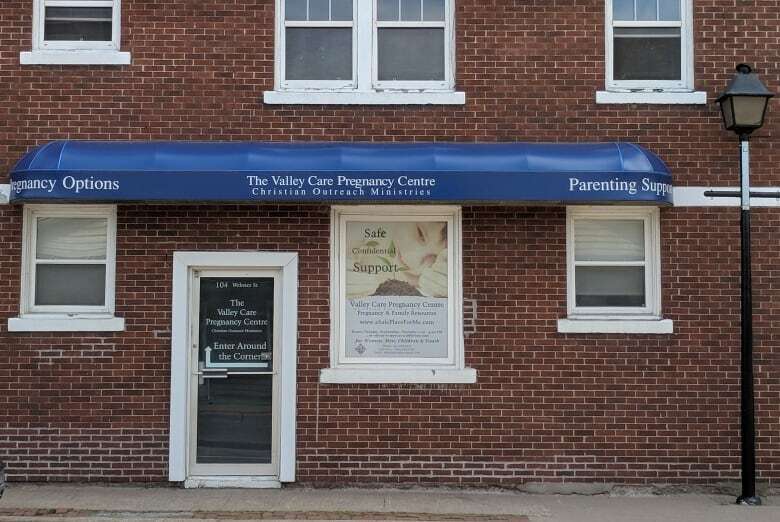 The exterior of Valley Care's offices in Kentville makes no mention of the organization having an anti-abortion stance, but does say the group is part of "Christian Outreach Ministries." A disclaimer in small print at the bottom of Valley Care's online home page says "the centre does not perform or refer for abortion." The abortion section of Valley Care's website does not include a disclaimer about the group's anti-abortion perspective. MacQuarrie says the overall tone of the abortion information now on Valley Care's website is medically misleading and rejects overwhelming evidence that it's a safe medical procedure. 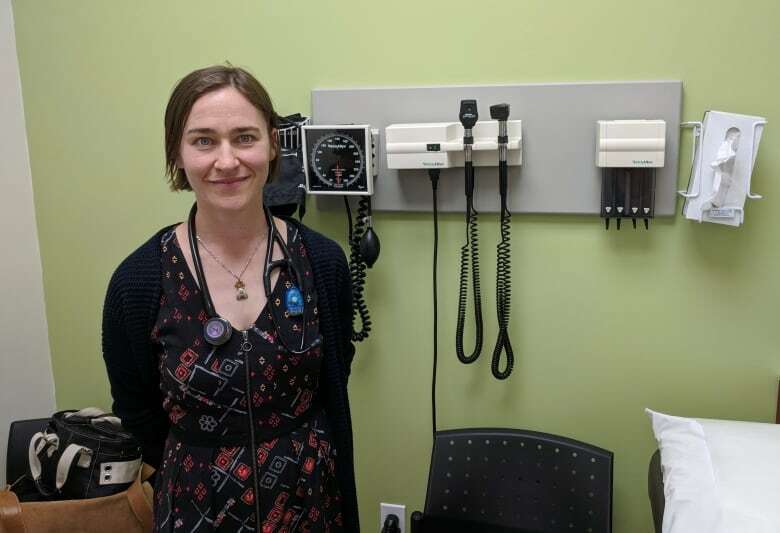 Dr. Andrea Mossman is a family physician who also works in youth sexual health, with the Red Door Support Centre in Kentville. She says a university student would likely have more wherewithal to question information coming from APS or Valley Care than many women in the community. "They would, in some cases, not have the resources to be critical of the information being offered if it had an anti-abortion slant or bias," says Mossman. "If they were to miss the window of opportunity for getting the process to obtain an abortion started, they might then end up being stuck with that pregnancy because they couldn't afford to travel out of district." 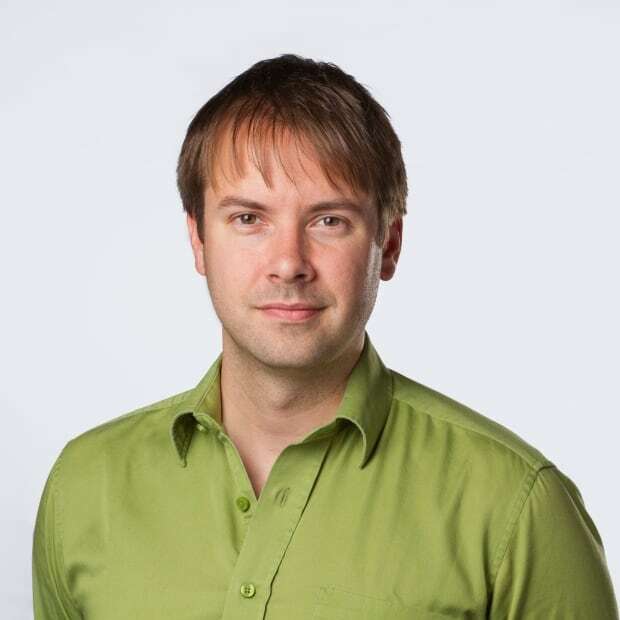 Zak Markan is a CBC journalist based in Halifax. You can often hear him on Information Morning.